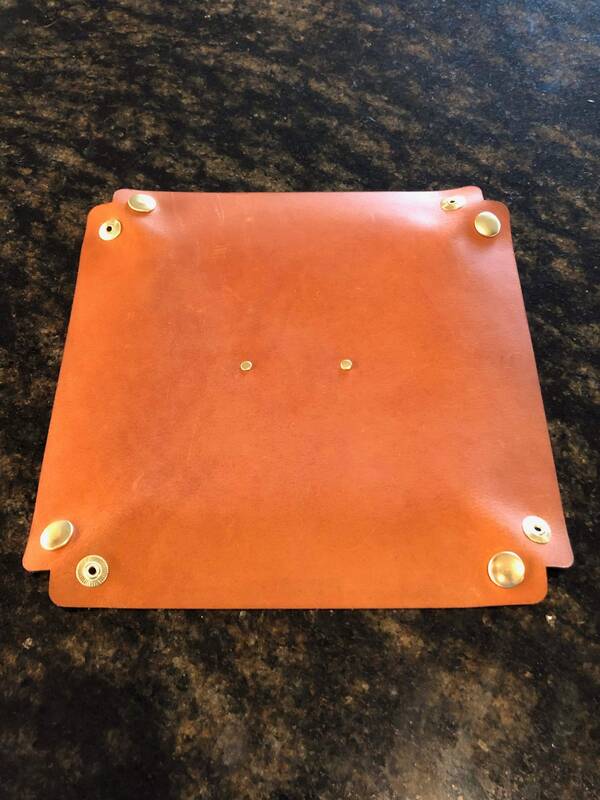 Handmade Leather Valet Tray 8" x 8" overall when laid flat. Snaps together and unsnaps to fit in your travel bags. 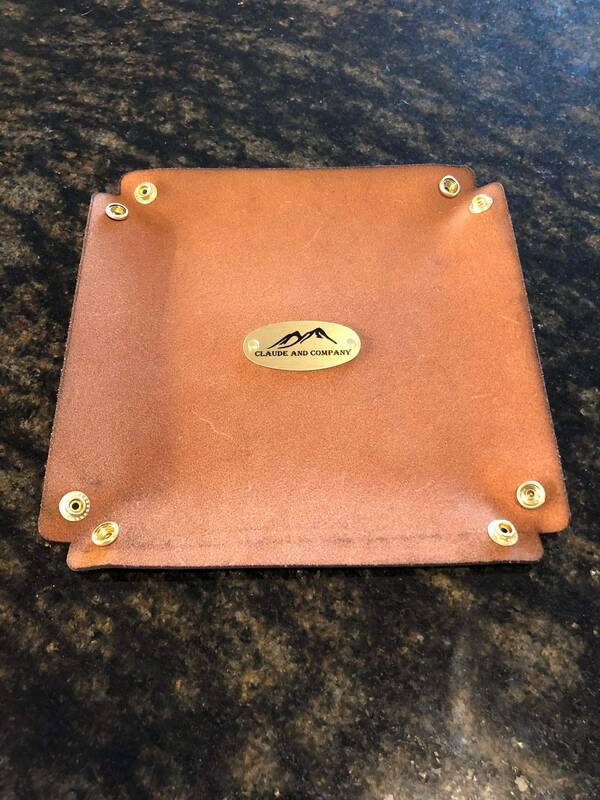 Available with solid brass or copper rivets for a fixed look upon request. Please note at check out if a "fixed look" is desired. 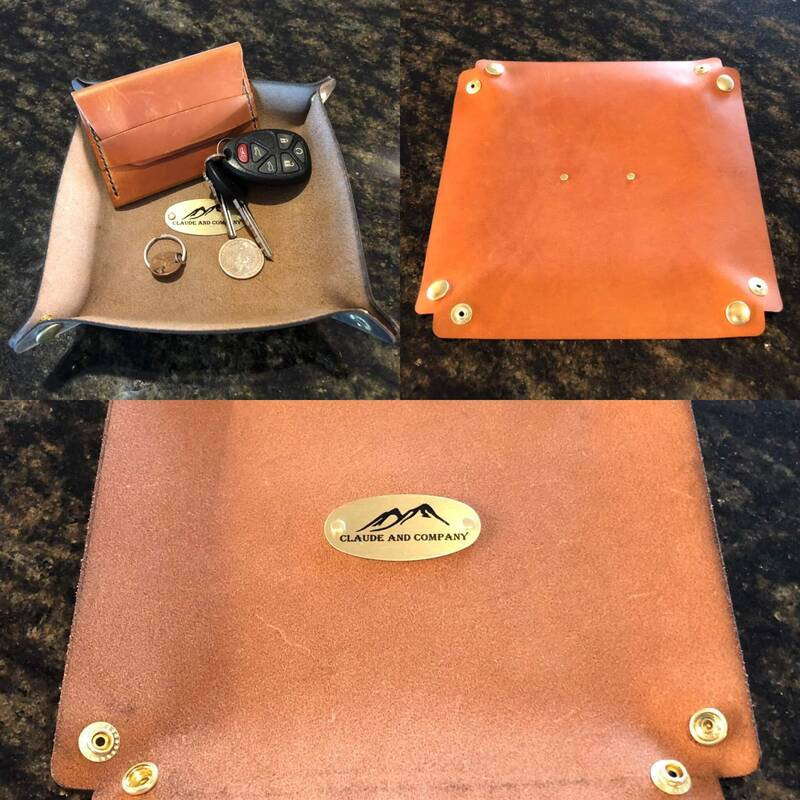 This listing is only for a valet tray. This does not include any items situated in the tray for display purposes!